TORONTO, ON – June 20, 2018 – Are you ready to experience amazing? The 2018 Lexus LS 500h is the premium, hybrid-electric sedan that’s ready to demonstrate a remarkable blend of luxury, performance and efficiency as it makes its debut at the Automobile Journalists Association of Canada’s annual EcoRun event – taking place June 20-23 between Moncton and Fredericton in New Brunswick. The LS 500h combines exhilarating performance with remarkable efficiency, courtesy of the first Lexus multi-stage hybrid powertrain – an advanced hybrid system specifically designed for high-performance luxury vehicles. Targeting class-leading fuel efficiency, this system delivers 354 net system power and can boost the LS 500h from a standing start to 100 km/h in just over five seconds. In addition, this model features the added all-weather confidence of all-wheel-drive, highly responsive and efficient electric power steering, and finely-tuned front and rear suspensions that achieve both the rigidity required for dynamic handling and the ride comfort that is essential in a prestige sedan. 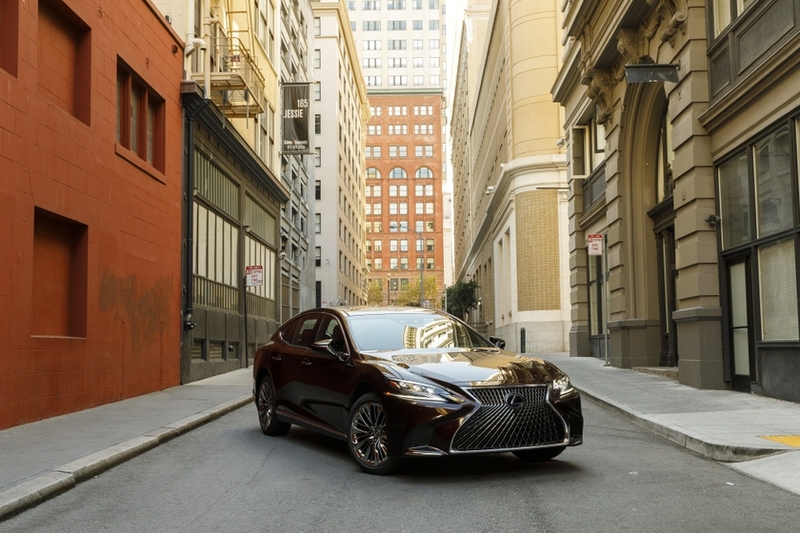 Beyond the LS 500h’s advanced power train, designers took full advantage of the new Lexus global luxury platform to craft a prestige sedan with an impressively sleek silhouette and an aggressive ground-hugging stance. Inside, guests are welcomed to a cabin that is at once sensual and serene, reflecting the Lexus passion for Omotenashi – the Japanese art of hospitality – while the vehicle’s long-wheelbase configuration enables truly impressive spaciousness.